Pumpkins are largely cultivated in the autumn but in the Queen's Orchard, Greenwich Park, we are harvesting a summer variety now. These summer balls are slightly smaller than the autumn pumpkins, less colourful and a bit less flavoursome but still an interesting vegetable while we wait for the arrival of their larger cousins. 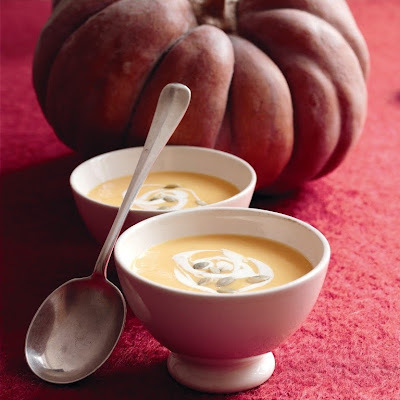 When it comes to pumpkins and squashes looks is not the only consideration, some can be rather tasteless, but they are brilliant to bulk soups and unusual taste in cookies if you cultivate for flavour only, think grey-green pumpkins which have a tasty, nutty flavour. Squashes are much easier to peel than pumpkin and they all keep for weeks in the dark once opened. But what do you do with such a large vegetable. Cooking tips: A word of advice, pumpkin has a high content of moisture, afterall it belongs to the same family as watermelon. So bake rather than boil or steam. Mash the pumpkin, put all the ingredients in a bowl mix well, transfer to a baking dish and bake for 25 mins in an oven preheated to 200C/gas 6/fan 180C. Optional: Add cheddar on the top for extra flavour grill until golden nicely. Whatever you do, don't halve the recipe, I did and ended up with a delicious snack but wouldn't have called it a cookie more a "cakie".